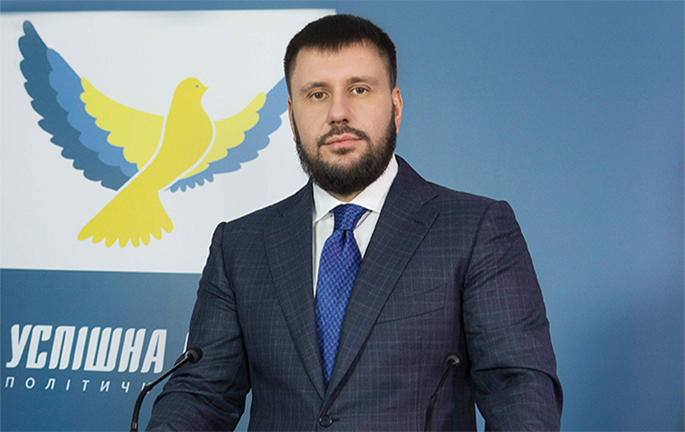 Political survival of the government depends on continuation of the conflict in Donbas, – Oleksandr Klymenko ⋆ News ⋆ Official website for Oleksandr Klymenko. Such opinion was expressed by politician during the meeting of supporters of “Uspіshna Kraina” party, which was held in Kiev on February 26. The meeting was carried out in a dialogue format. All the guests expressed their concern about the events in Ukraine. Special attention was paid to war in the East of the country. “Military Rada” can not resolve the conflict. These people went to the parliament and they were manipulating by war factor. Oleksandr Klymenko stated that current politicians are not able to resolve this problem. Their political survival depends on continuation of the conflict. “Authorities requires reboot, which is possible only through the re-election of the parliament. “Military Rada” can not resolve the conflict. These people went to the parliament and they were manipulating by war factor. Nowadays, continuation of the conflict in Donbas – is an issue of political survival”, – politician said. During the meeting, activists said that government innovation on tariffs and taxes put them on the edge of survival. Thus, Klymenko told about the inadmissibility of the “external” governance of the country. “If it comes about foreign politicians in Ukrainian leadership and recommendations of international lenders, we need to take into account the fact that no one needs a strong, self-sufficient Ukraine, apart from us. Other countries can not tell us, who should be trade with and not. We must follow the principle of economic pragmatism”, – Klymenko said. The most acute discussion was related to changes in tax authorities, which are made by current Ukrainian government. In particular, it comes about dismissal of experienced staff, bureaucratization of taxes, humiliation regular tax authorities by constant inspections of loyalty. “Unfortunately, power destroys positive achievements of predecessors. I strongly believe that they will not be able to destroy the system, which was created by our team. All that they can do – is to tear off the stucco. However, they will not be able to destroy foundation. 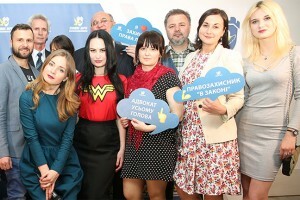 It is beyond their strength”, – said Klymenko. Former employee of the State Fiscal Service raised the issue on the crisis state of tax service in Ukraine. In its turn, Oleksandr Klymenko expressed concern about the mass dismissal of fiscal service workers. He believes that such actions deprive public service of valuable personnel. “No one defends their interest. If thousands of fired employees come out on the street, they will be heard by authorities,” – honorary head of the “Uspіshna Kraina” party said. “The strangest thing is that official should answer “yes” on two questions in order to pass re-certification. In particular: “Did you steal small items in shop?” and «Are you ready to betray your friend if he takes bribes? The most amazing thing that you should answer “yes” to both questions in order to pass validation. This is how ordinary employees are humiliated by heads of tax services”, – he added.